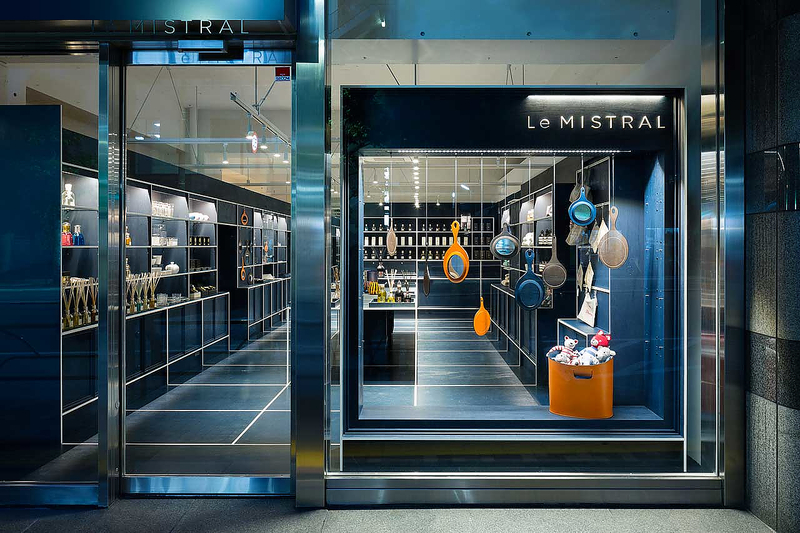 Le Mistral Gift Shop in Tokyo by JP Architects. 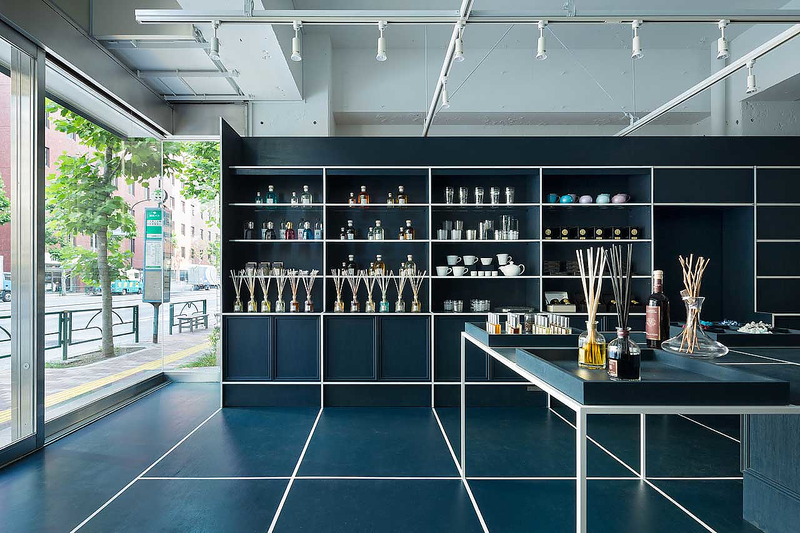 HomeBlogArchitectureLe Mistral Gift Shop in Tokyo by JP Architects. 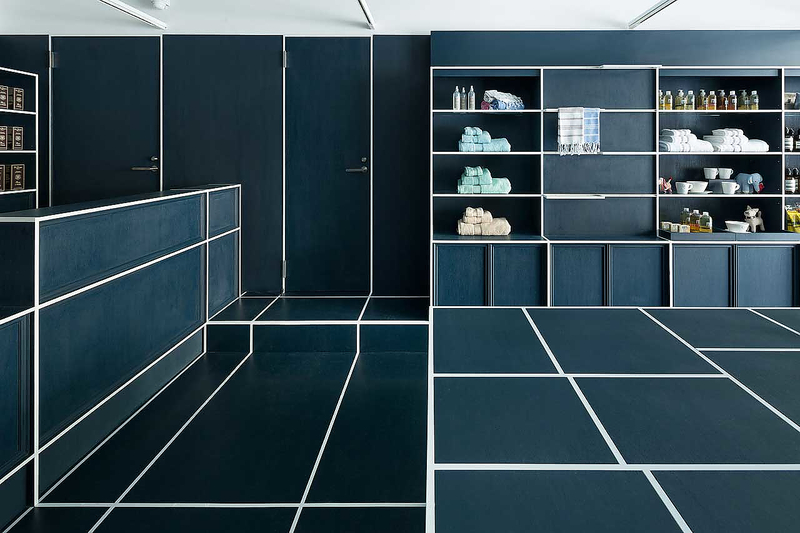 Designed by Japanese architecture duo JP architects, Tokyo based Le Mistral gift shop is an impressive exercise in applied geometry, literally. 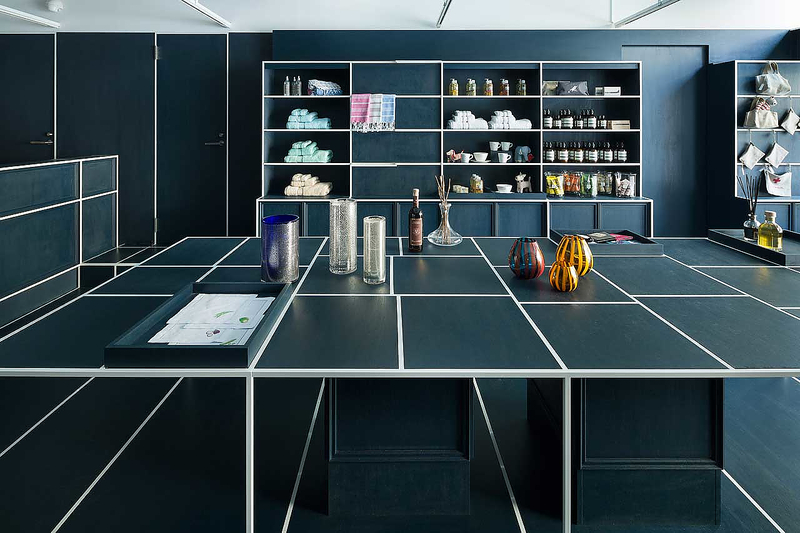 This wonderful gift shop amazes everyone thanks to its geometric inner design, highlighted by a distinctive white gridded pattern that traces the shop’s shelving units, furniture, floor, walls and door frames. 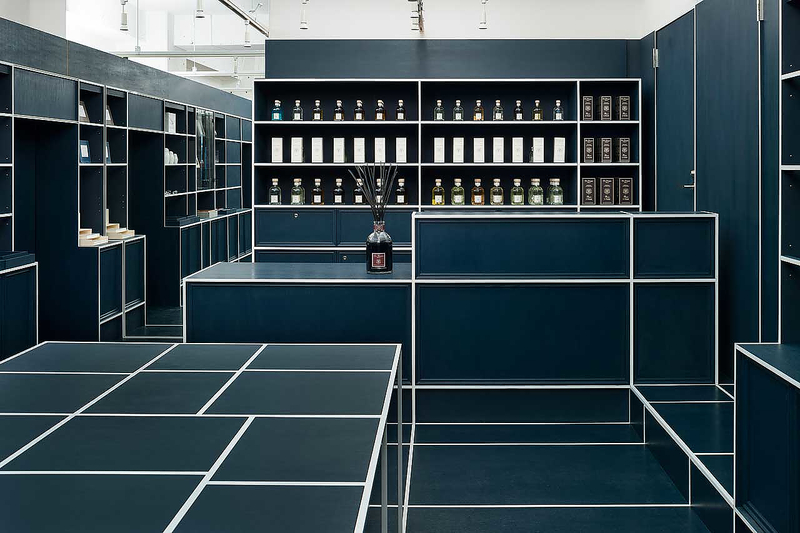 The space utilizes Le Mistral’s signature navy blue color as a stark and refined base, yet the store can be easily spotted by everyone that passes by, thanks to the characteristic white gridded pattern. 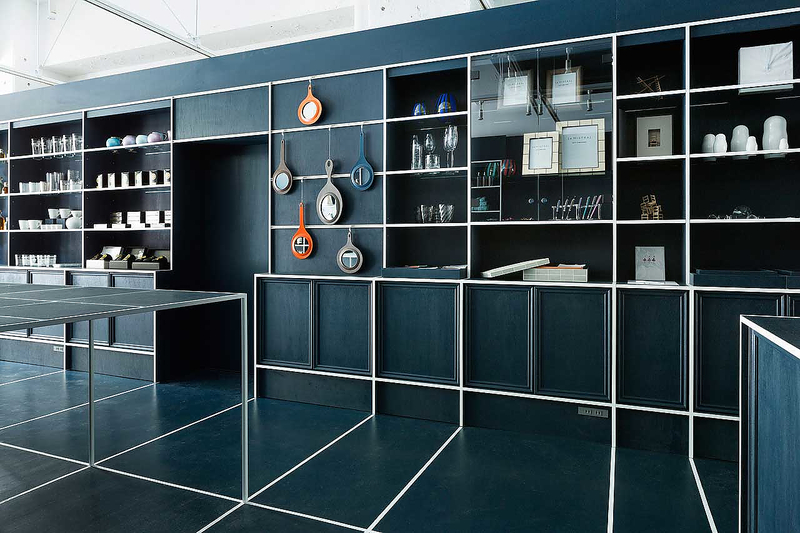 It is no coincidence that one can trace hints of European elegance integrated into the styling of the space. 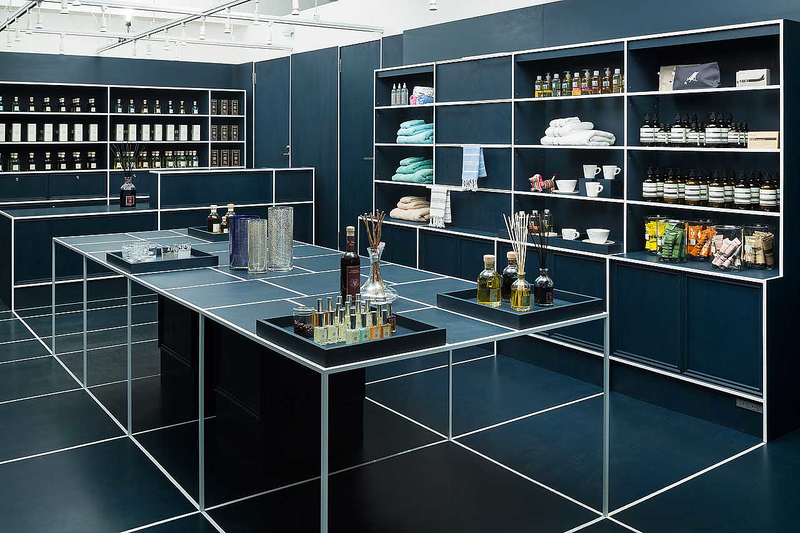 This exclusive gift shop aims to bring the European culture close enough to the Japanese, selling an extensive selection of European sundries that everyone can easy find in Europe, but not in Japan. 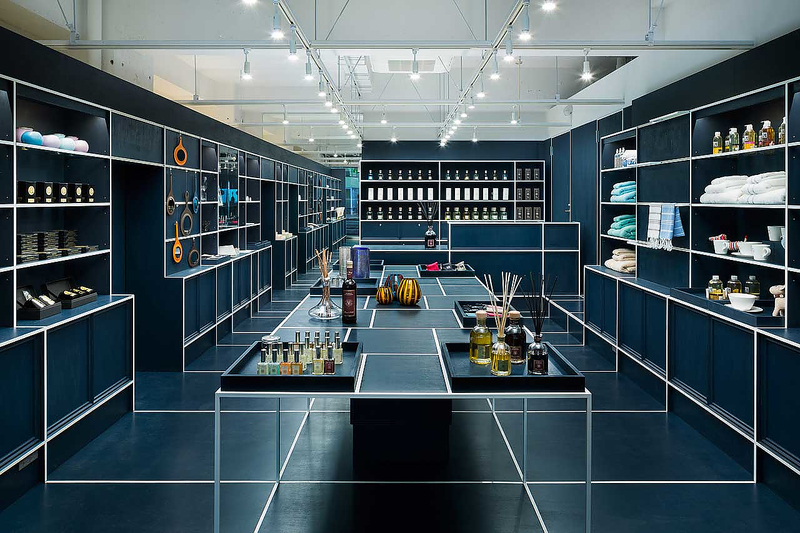 The shop’s geometric design allows for the items found throughout, to be presented in a variety of different formats, creating a continuously unique and refined atmosphere and shopping experience. According to JP Architects, “This design provides “order” and “freshness” to a dynamic display changing from day to day”. HIKKI Japanese Restaurant by Alexander Yukhimets. Neil Barrett Tokyo Flagship Store by Zaha Hadid Architects. Hotel Magnolia: Α Blend of Past and Present. Silent Office by Takashi Yamaguchi & Associates.